Western Kentucky University freshman right-handed pitcher Justin Hageman was named the Sun Belt Conference pitcher of the week. 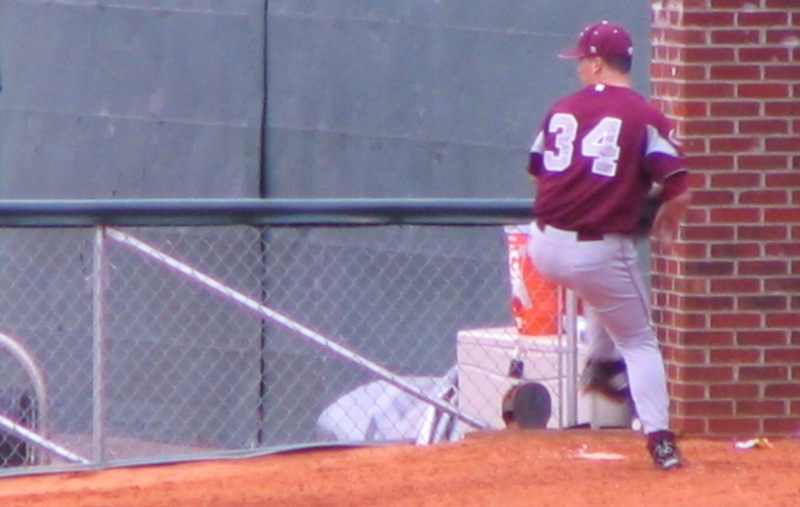 Eastern Kentucky University junior right-handed pitcher Matt Harris was named the Ohio Valley Conference co-pitcher of the week. Adam McCalvy of MLB.com reports Bowling Green native Corey Hart has turned a corner in his rehab from an oblique injury and will take batting practice this week with hopes of returning in time for the Brewers’ next homestand on April 22. Kendall Rogers of Perfect Game USA includes WKU among the weekend winners in college baseball and the University of Kentucky among the weekend losers. Steve Dilbeck of The Los Angeles Times reports PLD alum A. J. Ellis was packing his bags after the Dodgers planned to send him to AAA to make room for starting pitcher John Ely on the roster but was saved by a last-minute injury to the team’s other backup catcher Hector Giminez. The University of Louisville dropped to No. 25 in the latest NCBWA top 30 poll, and WKU was included in the “others receiving votes” category. Don’t forget that 2010 No. 1 overall pick Bryce Harper will be playing in Lexington this weekend versus the Lexington Legends from Monday to Thursday.